Welcome to the Setting Trick! Hi, my name is John McAllister. I have spent the past six years playing bridge all around the world. My goal is to win a world championship. Doing so requires getting into the minds of the world's best players. I can not think of a better, more fun way to do so, than to interview great bridge players and share their insights in podcast format. I am originally from Philadelphia which explains why I am a fan of the city’s professional sports teams. I have spent most of my life living in and around Charlottesville, VA and consider it my home. I started playing bridge as a freshman in college thanks to my aunt’s suggestion that I do so. I see myself as a link between the past and future of bridge. There are a lot of people today that do not even consider bridge as a hobby or profession that I hope will one day thanks to my efforts. John McAllister and his team of filmmakers set out to introduce bridge to a new generation of players. Learn about Adam Kaplan, the USA1 team leader, who first learned bridge on a cruise with his parents at the age of five, his mysterious partner Zach Brescoll, the fiery Grossack brothers and the brotherly love between the Jengs. 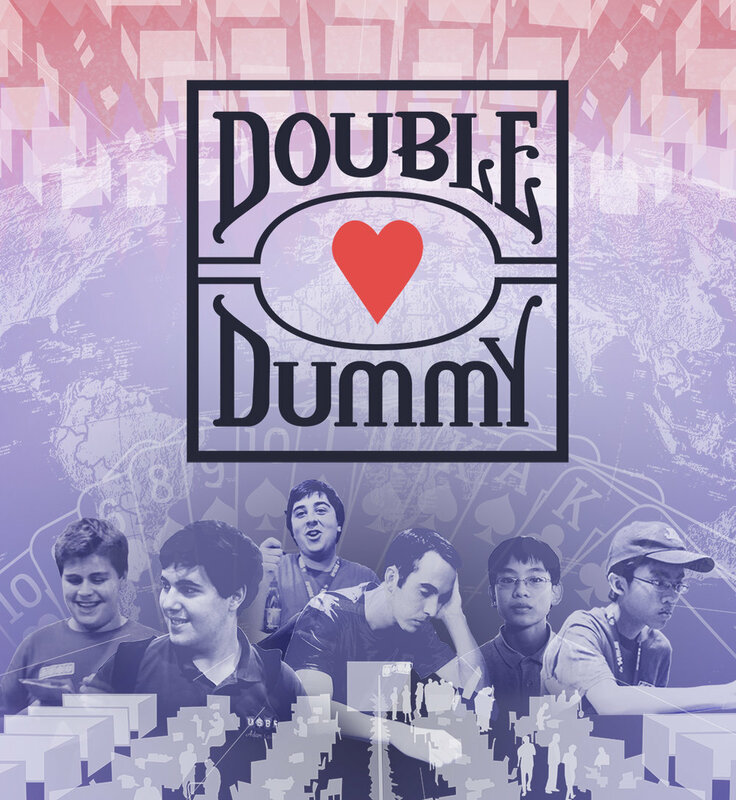 Double Dummy aims to show what makes bridge such a compelling lifelong pursuit. 94 year old great grandmothers Penelope Paddock and Louise Hayes round out the cast which also includes Atlanta Junior Bridge founder Patty Tucker, Phil Gordon and bridge enthusiast Warren Buffett!